TS EAMCET 2019 exam pattern comprises of type of questions, mode of exam, subjects, etc. 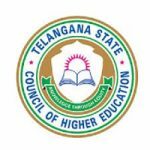 TS EAMCET (Telangana Engineering, Agriculture and Medical Common Entrance Test) will be regulated by the Jawaharlal Nehru Technological University Hyderabad on behalf of Telangana State Council for Higher Education (TSCHE). It is a state level entrance exam of Telangana for admission to the engineering, agriculture & medical courses offered by the government and private colleges situated in Telangana state. This article contains the details about the TS EAMCET Exam Pattern 2019. Exam Date: The examination will be held on 3rd, 4th & 6th May 2019. Course: TS EAMCET will be organized for engineering courses. Session: The examination will be held in two sessions, i.e. morning (10 AM to 1 PM) & afternoon (3 PM to 6 PM). Number of Questions: Total 160 questions will be asked in the entrance test. Question Paper Type: Objective Type Questions. Four alternative options will be given for each question, candidates have to choose the right one. Subjects: The question paper covers 80 questions from Mathematics, 40-40 questions from Physics and Chemistry. Mode of Exam: TS EAMCET 2019 will be conducted in online mode (Computer Based Test). Question Paper Language: The question paper will be available in three languages i.e., English, Urdu and Telugu. Duration: The exam duration will be 3 hours. Marking Scheme: Each correct answer will contain 1 mark. Negative Marking: No negative marking in this exam. Exam Date: The examination will be held on 8th & 9th May 2019. Course: It will also held for admission to first year undergraduate agriculture courses. Number of Questions: There will be total 160 questions in the entrance test. Question Paper Type: The question paper will contain only multiple choice questions. Four alternative options will be available for each question. Students have to darken only the correct one. Subjects: The question paper will comprise of 80 questions in Biology (Botany – 40, Zoology – 40), 40 questions in Physics and 40 questions in Chemistry. Mode of Exam: Online mode (Computer Based Test). Question Paper Language: The question paper is available in three languages i.e., English, Urdu and Telugu. Marking Scheme: Each question carries one mark for right response. Negative Marking: There is no clause for negative marking. The candidates are free to attempt as many questions as possible without thinking about the wrong attempt. For any other queries regarding TS EAMCET 2019 Exam Pattern, you may ask us by leaving your queries below in the comment box. How are marks allotted in TS eamcet 2018 will they normalise based on toughness of question paper or they give respective candidate scored marks??? How will ts EAMCET evaluation will be taken? How they will consider IPE weightage? Hi I’m an long term student in the application form they will be asking of college stamp and principal signature…now whose signature shoulf I take that will be valid?other than principal? ?